The Jerome Project utilizes art history to explore self and identity. Despite his reputation for being a socially and politically charged artist, Titus Kaphar is the first to say that, for him, art is a personal endeavor. And yet, he has an uncanny ability to mine art history for ideas, styles, and techniques to use in his contemporary works. He even manages to do all this without cross dressing, as Yasumasa Morimura sometimes does. The story of The Jerome Project began decades ago. As a child, Kaphar’s father rotated in and out of the prison system, straining their relationship and causing a rift between them. As an adult, Kaphar realized he had not spoken to his father in twenty years. Eager to reconnect with him in 2011, Kaphar searched the internet for his dad’s name, using the prison records database to learn his current location. What he found was much more profound. Upon entering his father’s name – Jerome – in these databases, Kaphar found ninety-seven other men with the same first and last name, along with their mugshots. This search prompted a revelation for Kaphar: he could use this personal experience to point to the systemic, racial issues embedded within mass incarceration and the flaws of the criminal justice system. To do this, Kaphar painted a portrait of each man who shared his father’s name. Most of the ninety-seven artworks are small, devotional paintings in a style that recall Byzantine icons. The panels of Kaphar’s actual father, however, are different. Even though the image only shows his father’s face, it stands at a whopping six feet, making it one of the two largest panels in the series. The work also echoes representations of Saint Jerome, the patron saint of librarians, scholars, and translators, contrasting the visual tradition of the saint and the reality of his father’s life, and also the lives of the other Jeromes. Like the metal bottle caps that comprise El Anatsui’s flowing tapestries, Kaphar’s materials are central to his message. Kaphar submerged the finished panels in tar. At first, Kaphar equated the amount of tar to the amount of each lifetime spent in prison. However, Kaphar then began to consider how the effects of incarceration continue even after a prison sentence ends. Kaphar reflects on how incarceration influences other people’s perceptions of a person, affects one’s own self-worth, and inhibits access to employment and voting rights. When it debuted in 2014, The Jerome Project was so successful that editors at Time magazine commissioned Kaphar to create a painting commemorating protests in Ferguson, Missouri after the death of Michael Brown in 2014. Since then, it’s no surprise that Kaphar’s career has taken off. In 2016, he began to work on a similar series focusing on incarcerated women. This time, he’s using the name Destiny as his search-engine tool and staying fully aware that this name recalls the grim fate that many black Americans share. Brooklyn Museum. “The Jerome Project (My Loss).” Collection. https://www.brooklynmuseum.org/opencollection/objects/218233. Accessed March 6, 2019. Cheng, Susan. “10 Famous Artists Who Got Their Start in the Magazine Industry.” Complex. Style. November 27, 2013. https://www.complex.com/style/2013/11/famous-artists-magazine-industry. Accessed March 6, 2019. Class Race Gender. “The Jerome Project and the Faces of Mass Incarceration.” WordPress. April 28, 2016, https://classracegender.wordpress.com/2016/04/28/the-jerome-project-and-.... Accessed March 6, 2019. John D. and Catherine T. MacArthur Foundation. “Titus Kaphar.” MacArthur Fellows Program. https://www.macfound.org/fellows/1015/. Accessed March 6, 2019. 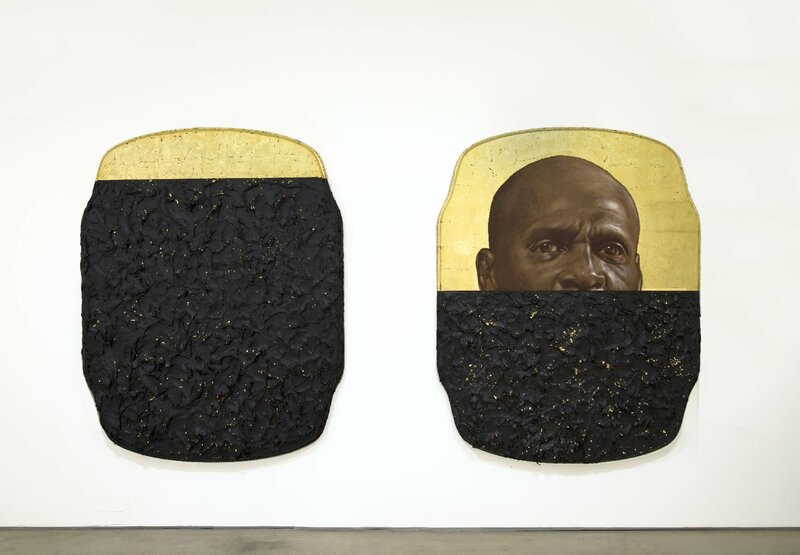 Mallonee, Laura C. “Portraits of Prisoners in Gold Leaf and Tar.” Hyperallergic. Articles. https://hyperallergic.com/183665/portraits-of-prisoners-in-gold-leaf-and.... Accessed March 6, 2019.